Posted on January 24, 2016 January 23, 2016 Categories Contemporary Adult Fiction, New AdultTags contemporary, Contemporary Romance, romance2 Comments on Shuffle is almost here! 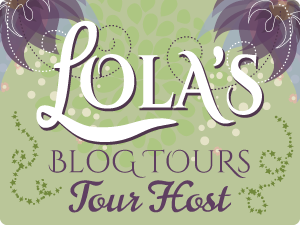 Today is my stop during the blog tour for Forbidden (Her British Stepbrother #1) by Lauren Smith! I have very mixed feelings about this book. The premise was very enticing and I loved the sound of the story. Unfortunately, for me, this book fell short on execution. The writing is fine in the main, nothing stand-out or unique, but decently written and edited. I enjoyed the world Lauren created and it was interesting with the royalty/peerage angle. Both mains are likeable enough, and Tristan is the quintessential love interest. The biggest issue I had was the insta-lust-love. Now, ordinarily, I have no issue with either insta-lust or insta-love, provided it’s written well. I also had no issue with the manner in which Tristan and Kat met, and I liked that she went for it with him the minute they met. I disliked the way they spoke and interacted as if they had known each other for far longer. It had only been a day or two and already player Tristan was sworn off his old ways and Kat was opening up to a virtual stranger when she was quite a guarded character. I also felt a lot of the dialogue was cheesy and cliche and I was indulging in plenty of eye-rolling. This book is a short quick read but I feel it would benefit from additional scenes to develop the relationship between Tristan and Kat, and to develop the characters in a more realistic manner. It was only toward the end of the book that I started to care about what happened to them. There are no surprises in the plot though that didn’t affect my enjoyment; I expected as much entering into it based on the blurb and title. I’m still curious to see where it’s going, but not curious enough that I’d buy the next installment. Overall, I can’t say that it was terrible (because it wasn’t) but I also can’t say that it was great. I see most of the early reviews are 5 stars so I’m clearly in the minority. Perhaps this just wasn’t the book for me. I’d like to thank the publisher and Barclay Publicity for providing a copy of this book in exchange for my honest review.